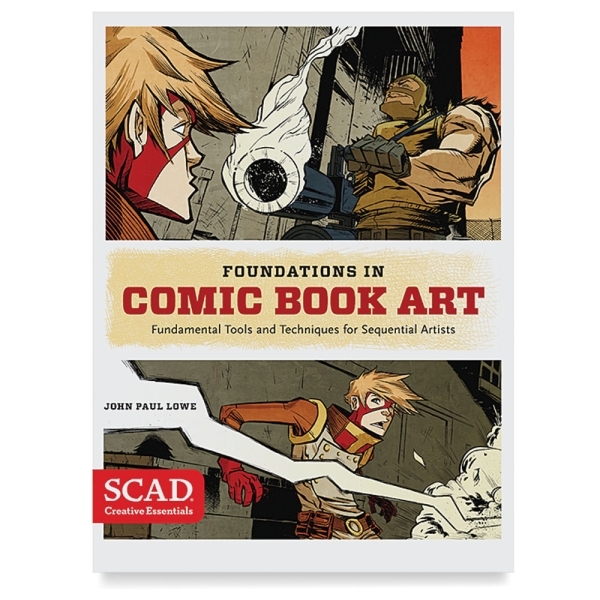 In Foundations for Comic Book Art , the Savannah College of Art and Design (SCAD) enlists one of its top instructors, John Paul Lowe, to provide aspiring comic book makers with a thorough primer for creating dynamic, exciting comic artwork. 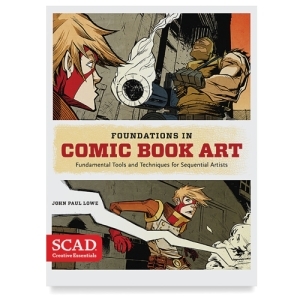 This comprehensive guide covers all the vital techniques students need to know to join the ranks of elite comic book artists. Topics include contour drawing, mastering perspective, using photo references, and adding digital patterns to your comics. Examples from the works of SCAD faculty, alumni, and students are paired with Lowe's easy-to-follow, step-by-step lessons and exercises, making the process easy, fun, and inspiring. Author — John Paul Lowe.